Thank you to the American Optometric Association for sponsoring this post. Click here to learn more about the AOA and how to properly take care of your contact lenses and additional eye health issues! Always good to have new contacts on deck! I can't remember a time without bad vision. Sure I've seen photos of me as a child not wearing glasses but I think my first real memories are either blurry or behind a lens. I love wearing glasses. They're fun, easy and can compliment a look but when you have horrible vision like I do that can be a problem. My cousin got me my first pair of contacts when I was 15 and I was so nervous about them. I've never put anything in my eyes myself before and I remember how i basically had to be strapped down when I had to get eye drops put in once. My eyes were just off limits. But at 15 I was ready to conquer the world with my blue bangs and rimless eyes! My first try with contacts was not without its mistakes. Remember my aversion to eye drops? Yea, that was still a thing and I was so afraid of eye drops that when my eyes got dry on my first day I rubbed them so much that they broke. In my eyeball. Yes, that happened to me. The optometrist was sympathetic and gave me another lens on the house but warned me that to wear contacts meant taking care of them, and my eyes. Fast forward a year and I was still relatively scared of drops. I remember the same thing happening as I took my SAT's. There I was, taking the test that would decide my educational fate, and I had a broken contact lens. Seriously? Even since then I decided that I had to take all things regarding my eyes seriously and finally developed great habits that I maintain to this day. 1. Be Totally Sterile: I make sure my hands are totally cleaned before I touch anything related to my contacts. From my solution to the case. I need everything to be totally sterile because I want to make sure I don't contaminate anything. 2. 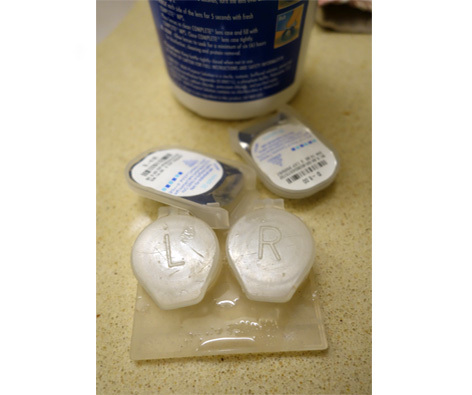 Rinse Lenses Before Each Use: I rinse each contact thoroughly and rub them a little bit to make sure there isn't any potential residue left over. 3. 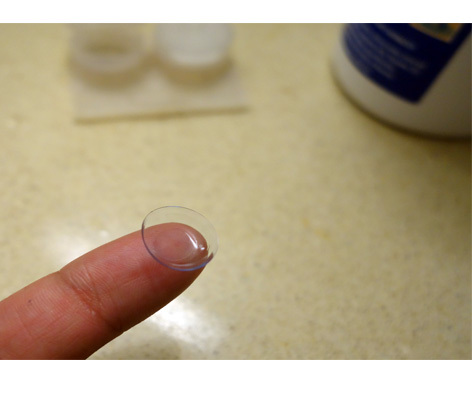 Clean Lens Cases Thoroughly: Once my contacts are nicely in place I rinse my lens case with solution and let it air dry so it's always fresh for the next time I put my contacts in. 5. Get Regular Fittings: Getting regular checkups is key. Just because your vision doesn't seem to change it's not a bad idea to see your optometrist regularly to make sure you're wearing the right lenses for your eyes and that you aren't straining even just a little bit. These are just some tips that I've picked up after 15+ years of wearing contact lenses but the infograph above, as well as getting more information from the AOA can give your more healthy tips in order to keep those peepers safe and able to wear contacts for as long as possible!